I posted the previous card of Brian McCann because he knocked in the first run of the season. Who was the player that he knocked in? 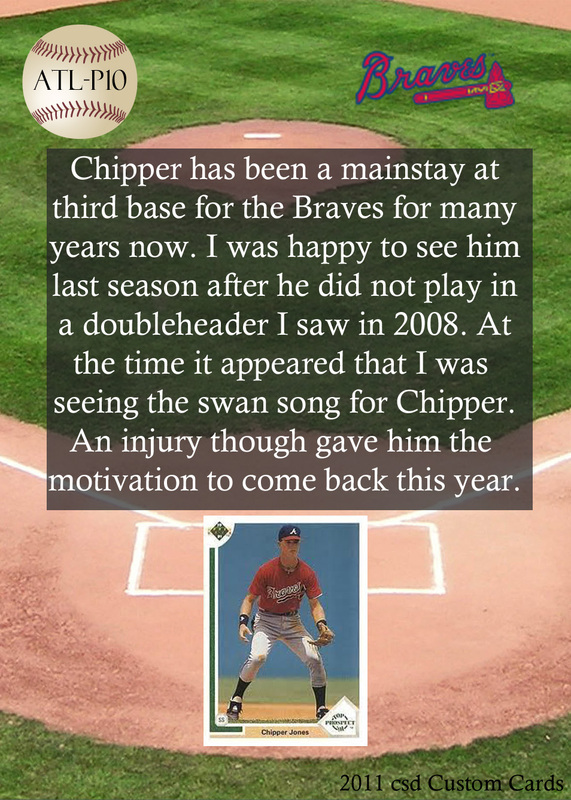 It was none other than Chipper Jones. Chipper hit a double in his first at bat of the season to set up McCann to knock him in. I took this picture last season when the Braves were in town to play the White Sox. With the bad weather in the forecast (the game was delayed over two hours) I didn’t know if I would get a chance to get a picture of Chipper It was supposed to be his last season so I wanted to snap a picture of him. As the Braves were getting loose I took a couple just to make sure that I had one. This was one of those picture. This entry was posted on March 31, 2011 by Pinola Photo. 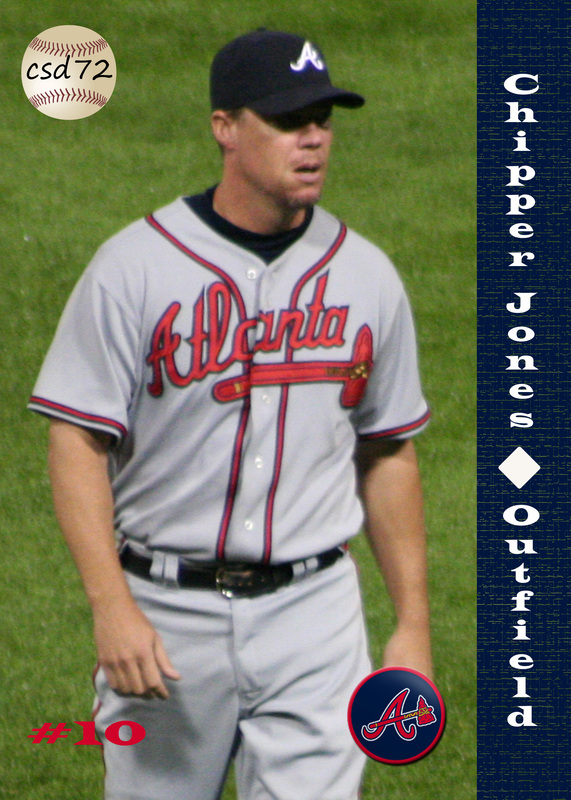 It was filed under 2011 Baseball Custom, 2011 Baseball Custom (Preview), 3B, Atlanta Braves and was tagged with 2011 Custom Cards, Baseball, Braves, Brian McCann, Chipper Jones.